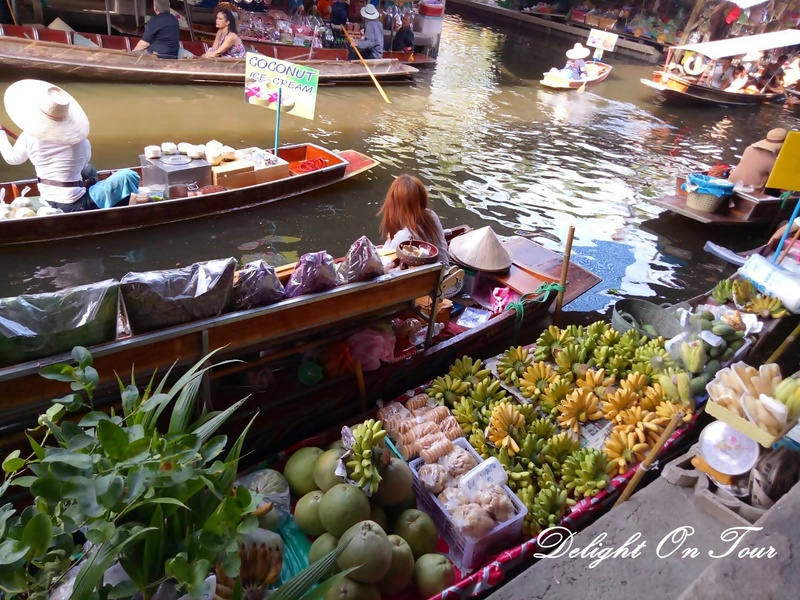 In the past, daily commerce in Thailand was conducted mostly along rivers and canals (or khlongs in Thai). 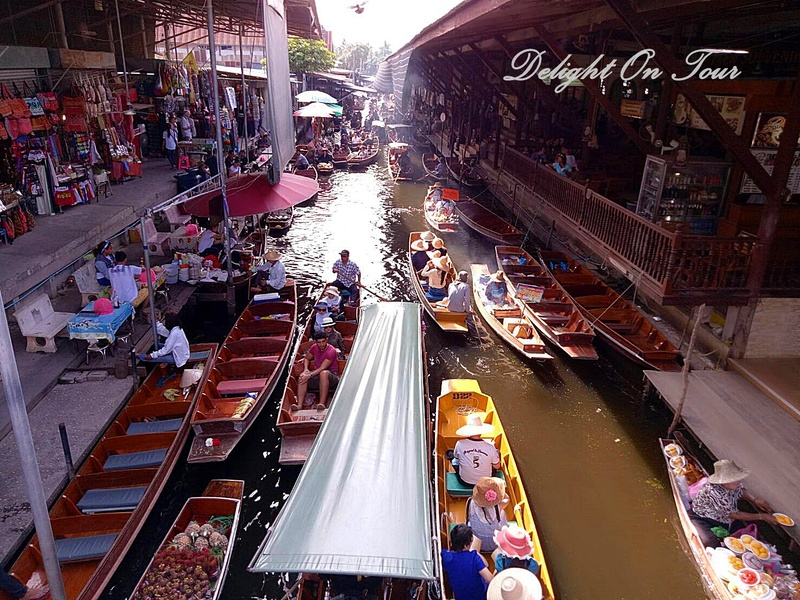 Bangkok’s water network was busy and served as the principal means of communication causing Bangkok to be called as the “Venice of the East” by early European visitors. 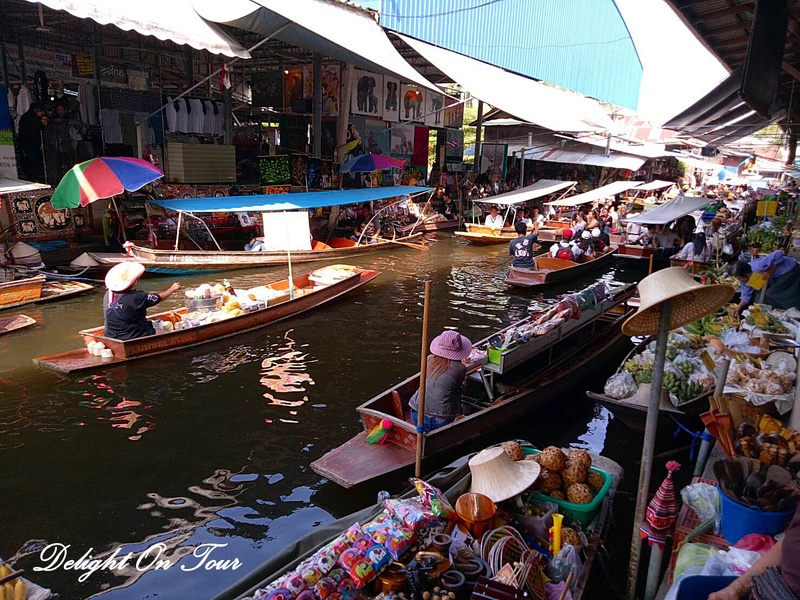 Out from Bangkok, there is a floating market that becomes one of the Thailand’s most famous attractions, Damnoen Saduak Floating Market. 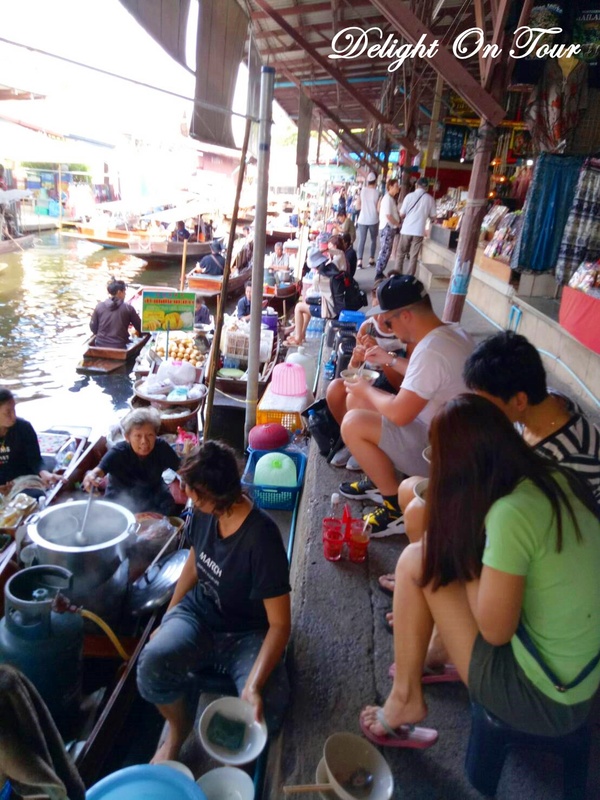 Every morning, boat venders will cramp in Khlong Damnoen Saduak to sell product from their plantations that varies from fruits to vegetables. 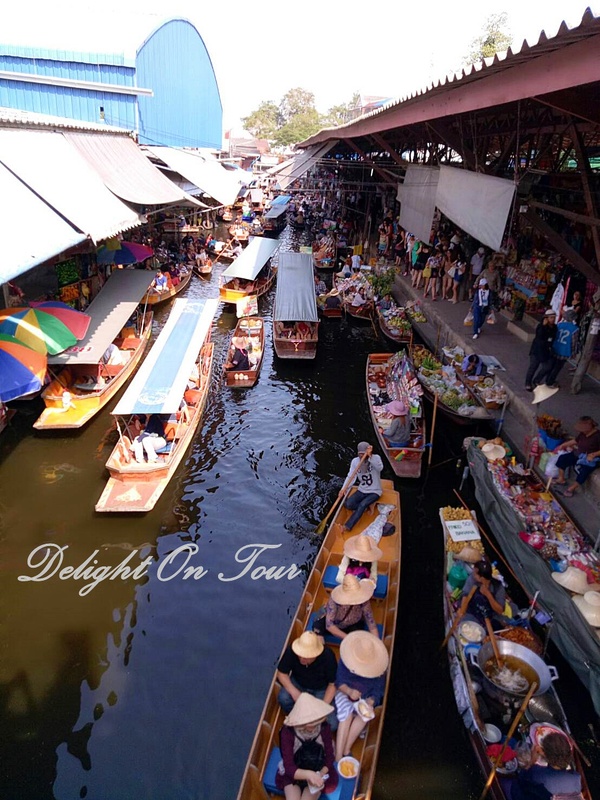 Now the product is more varieties as there are many visitors visit here every day. 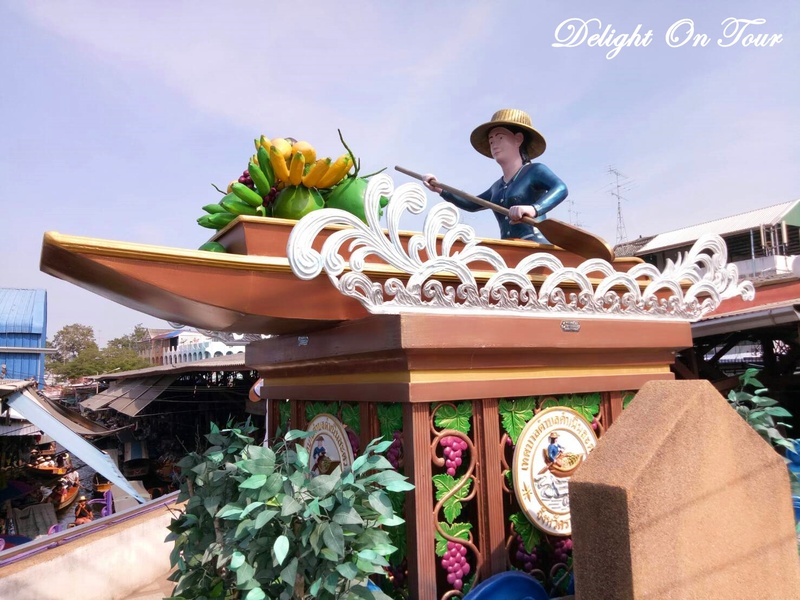 Arrive the floating market, almost untouched by the modern world, you will enjoy watching the farmers selling food, fruits, flowers and mand kind of local products in their boats.